THE MEDALS OF SUB LIEUT JACK CONWAY CARPENTER (1919-1940) KILLED IN ACTION IN THE BATTLE OF BRITAIN comprising 1939-1945 Star Battle of Britain clasp and Canadian Memorial Cross S/LT J C CARPENTER, marked STERLING, both cased (2)Jack Conway Carpenter was one of only thirty three Canadians to fight in the Battle of Britain. Brought up in Canada, in the 1930s his parents moved back to Wales. In July 1939 J C Carpenter joined the Fleet Air Arm and was attached to the RAF with effect from 15 June 1940. The following month he joined 229 Squadron at Wittering, transferring to 46 Squadron at Digby, Lincoln. On the 3rd December he destroyed an Me 110 over North Weald, two days later he shot down an Me 109 over Southend and on 8th September, during an attack over the Isle of Sheppey, he bailed out of his Hurricane (P3201) but his parachute failed to open. In a prophetic letter to his brother he described in detail a dog fight, in which his plane was shot down "I came as close to a sticky end this morning as I hope for some time to come. I stood a good chance of being crushed by tons of aeroplane or burning to death, or as easy alternative to those two, just jumping out and hoping my parachute would open." 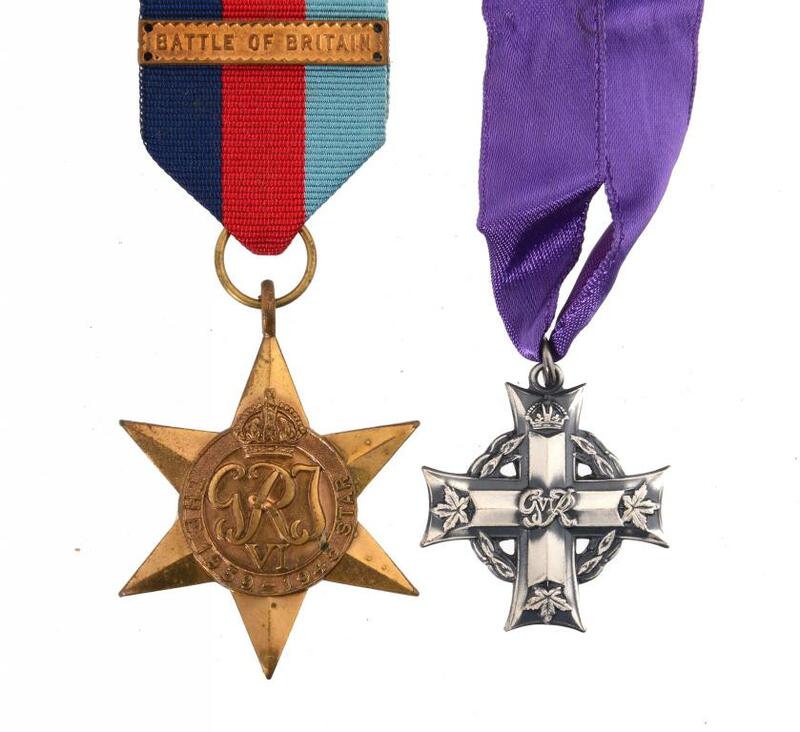 He crash landed in a farmer's field and escaped with only a bloody nose.J C Carpenter was the son of Major Frederick Noel Carpenter (see lot 19) of Carreglwyd and his medals were presented by the Canadian High Commissioner to the family on the anniversary of his death in 1987.